A collection of profiles of the J-School’s best asset: the faculty. We are constantly hearing from students that one of the J-School’s biggest strengths is the dedicated, talented, fearless, experienced, fun, doors-are-always-open faculty. The Social Media and Engagement class set out to tell that story via Instagram. Over the coming weeks, we will highlight these stories, which illustrate the personalities, philosophies and experience of our top-notch faculty. This week, we give you Associate Professor Lee Banville. Lee joined the University of Montana faculty in 2009 after 13 years at PBS NewsHour, where he was editor-in-chief of the Online NewsHour. With a background in web and digital reporting and social media, Lee teaches courses that include digital and web reporting, audience engagement. 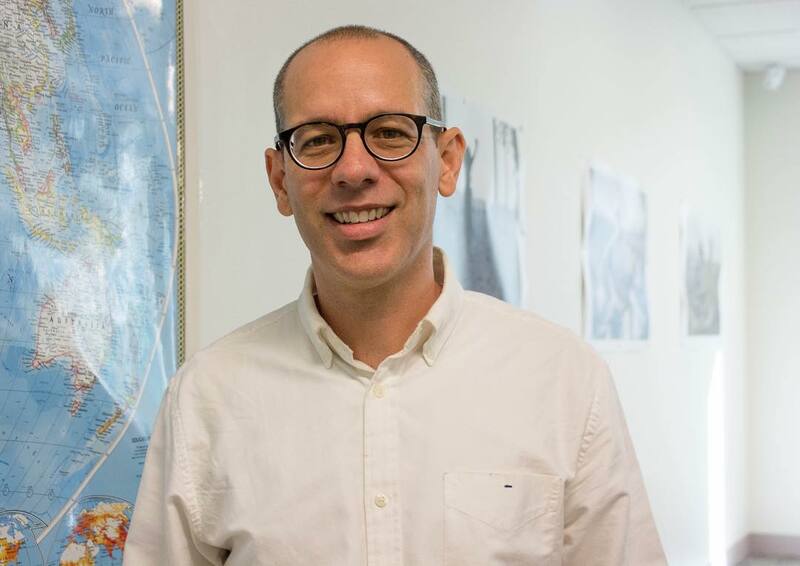 Because he teaches the introductory media history and literacy course (J100), he’s often the first professor students have when they enter the J-School. We’re all lucky for that because Lee makes learning just about anything fun and interesting. And yes, that includes Media Law, which he also teaches, focusing on access and open meeting laws. Lee also co-teaches election reporting every two years. The Social Media and Engagement class set out to tell that story via Instagram. Over the coming weeks, we will highlight these stories, which illustrate the personalities, philosophies and experience of our top-notch faculty. This week, we give you Assistant Professor Joe Eaton. Joe joined the school’s faculty in the fall of 2013 and teaches courses in public affairs reporting, investigative reporting and editing. This last fall, Joe’s investigations class partnered with the Missoulian to produce a chilling and important series of reports that explored how pregnant women who use drugs are treated in Montana. Over three months, the team interviewed more than a dozen women, numerous experts, and leaders at Montana hospitals, treatment centers and state government. This spring, he will lead a group of students to South Korea to work on a project that will run in partnership with Atlantic Media’s CityLab. When he’s not teaching, editing and mentoring, Joe is writing beautiful and impactful pieces for magazines and websites including National Geographic, CityLab, The Atlantic, Pacific Standard and Wired. 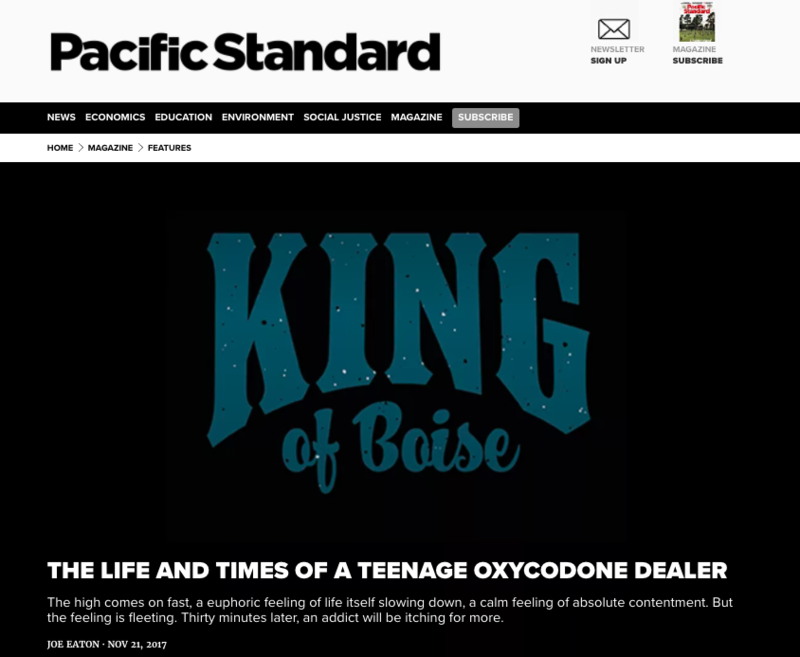 One of his latest pieces, a harrowing story of a teenage drug dealer in Idaho, appeared in the Pacific Standard in November. Before joining the faculty, he worked as an investigative reporter at the Washington, D.C.- based Center for Public Integrity. He has also been a reporter at the Roanoke Times in Virginia and Washington City Paper. 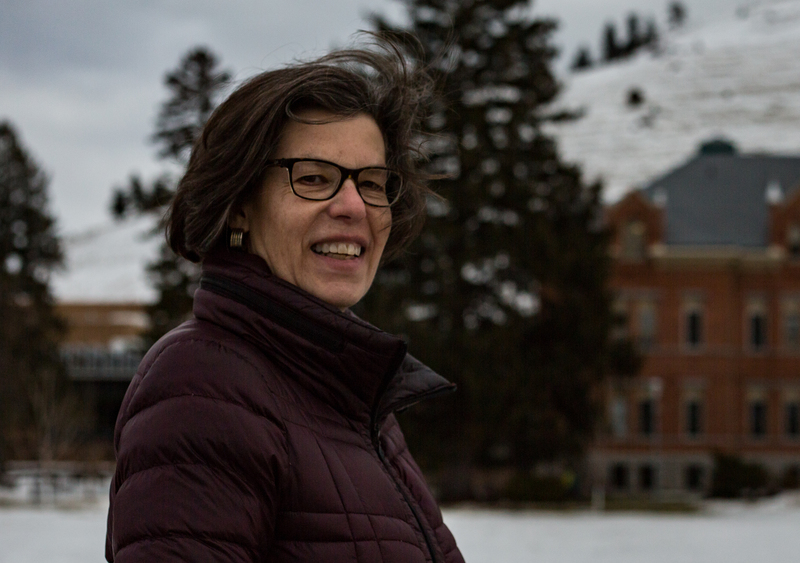 Spring 2018 Pollner professor Deborah Potter. Photo by Tate Samata. Deborah Potter is sure of one thing: Public trust in journalism is disintegrating rapidly, and journalists cannot simply sit back and wait for something to change. Potter had wanted to be a writer since high school. But as she watched a contentious national presidential election unfold during her first year of college at University of North Carolina-Chapel Hill, Potter was drawn to broadcast and TV journalism. 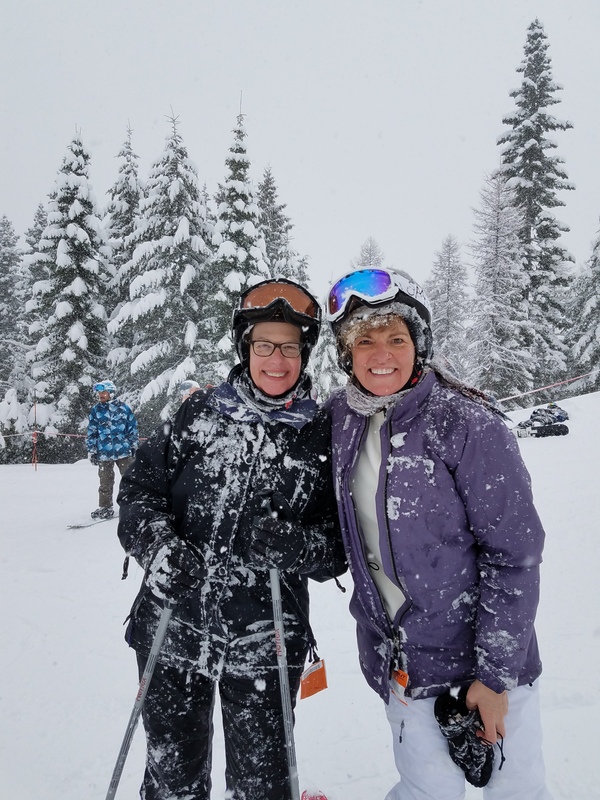 When she isn’t teaching, odds are you can find her downhill skiing. Here, Potter is at Lookout Pass with professor Denise Dowling after their first week of spring semester. Potter spent more than a decade as American Journalism Review’s broadcast news columnist, served as CBS’s White House, State Department and Congressional Correspondent for 13 years, and reported on environmental issues and national politics as a network correspondent for CNN. She has led journalism workshops in the U.S. and around the world, co-authored a journalism textbook, and founded NewsLab, a non-profit journalism resource center in 1998. Potter sees her professorship at UM as an opportunity to continue what she refers to as “the second major chunk” of her journalism career, in which she focuses on providing journalism-related education. Previously, Potter was a distinguished visiting professor in journalism ethics at the University of Arkansas, and curated radio and TV seminars as a faculty associate at the Poynter Institute. The Pollner Professorship was established to honor the memory of Anthony Pollner, a 1999 graduate of the School of Journalism. After Anthony died in an accident in May 2001, his friends and family created an endowment that makes this professorship possible. Tate Samata is finishing her fifth and final year at the UM School of Journalism, and will graduate this spring with a Bachelor of Arts in journalism and psychology minor. Tate’s journalistic focus is primarily photo and multimedia, but she is also passionate about writing, copy editing and social media.